Click Going on our Facebook event, or email us at Learningtango@gmail.com, to get discounted entry (£9). 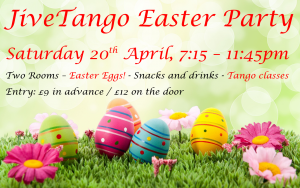 It’s a special Easter Party for our Bookham event, with the finest Modern Jive and Tango music, a bonus WCS lesson in the main hall with Phil de Bruin, dancing all night long, and the fabulous Greg Davidson as the Modern Jive DJ. 8:15pm – 11:45pm: Modern Jive Freestyle (main room) with DJ Greg Davidson. See The Venue for location and hall details. Entry: Only £9 if you book in advance, or £12 on the door. Note: £1 charge for plastic cups as per our Plastic Reduction policy – so please bring your own! 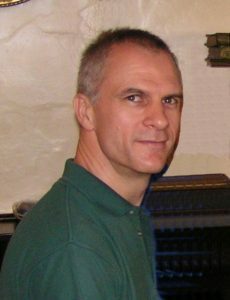 We’re really excited to have Phil teach a WCS Taster class on the 20th, and we hope you enjoy it too! DJ Greg Davidson will play a selection of wonderful Modern Jive tracks, ranging from more modern dance sounds through Motown, Swing, Blues & smooth West Coast swing. 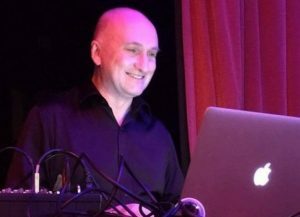 Greg has over 15 years experience of DJ-ing, currently mainly delighting Modern Jive audiences, in earlier years focusing on West Coast Swing & Blues events. Greg is adept at finding music that will intrigue and challenge, as well as knowing the importance of the familiar and finding the comfort zone. DJ David will play a selection of superb Tango Nuevo / Alt / Tango Blues tracks throughout the evening. JiveTango, Proudly powered by WordPress.